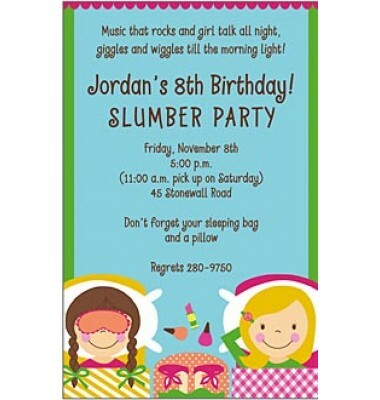 Let's Sleep Over is the perfect choice for any girl's birthday party invitation! 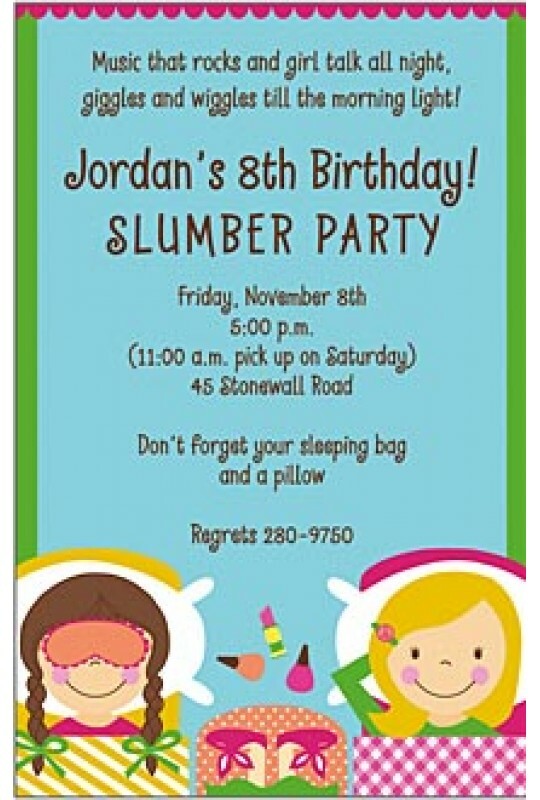 Features a blue background with pink and green borders! Anchored on the bottom are three girls, in sleeping bags, ready for their slumber party!